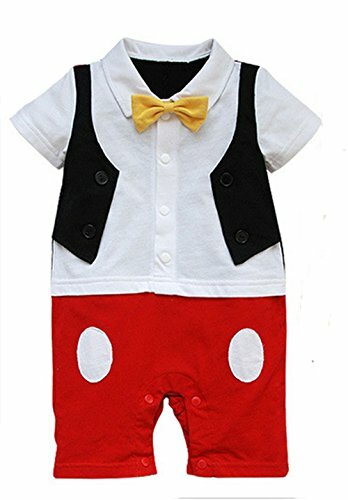 Super chic and cute 3D bowtie Mickey Mouse romper onesie for photo prop, birthday party or any special occasion. 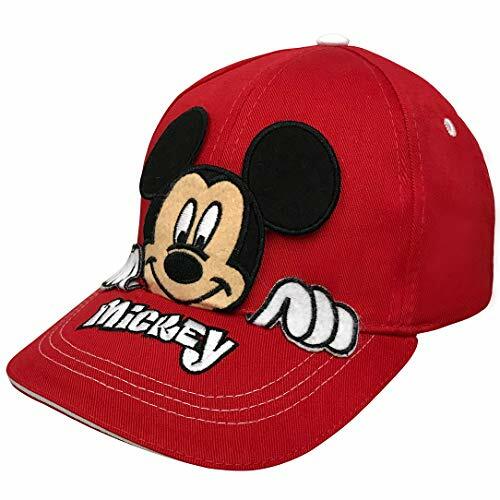 Suitable for age 6-36 months. 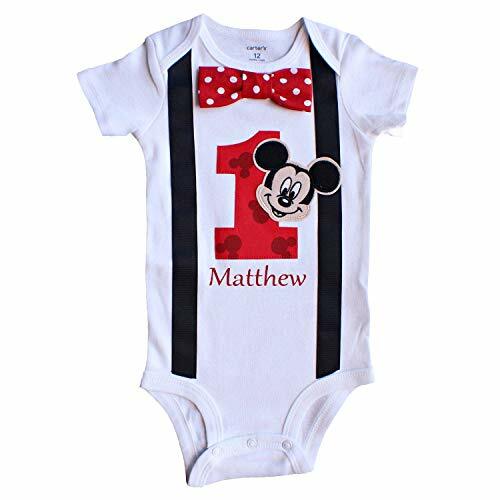 A perfect gift for your little one! ♥ Welcome to IMEKIS store. 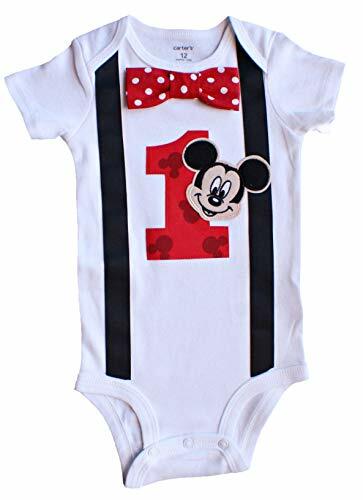 Are you looking for a unique clothing for your little princes to wear at his 1st birthday party? 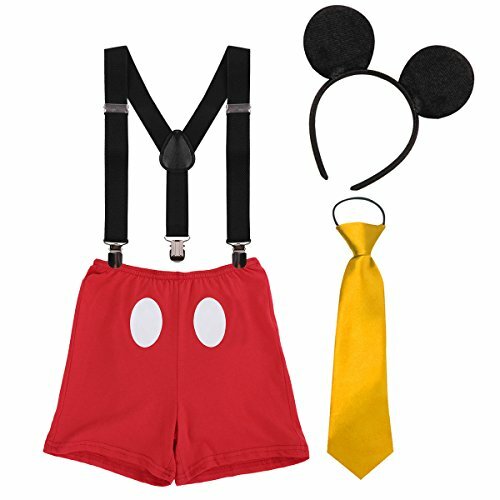 By IMEKIS Designed cake smash outfit, so cute and practical clothing set ♥ About This Item Condition: Brand New Material: Cotton + Polyester Package Include: 1PC Pants + 1PC Suspenders + 1PC Bow Tie + 1PC 3D Mouse Ears Headband Season Suitable:Spring, Summer, Autumn, Winter Care Instructions: Keep this adorable outfit looking great for years to come! Hand wash cold, line dry. Do not bleach, iron, or tumble dry. ♥ Size: (The size is of manual measurement, please allow slight 1-3cm difference. The suggested age is just for your reference.) 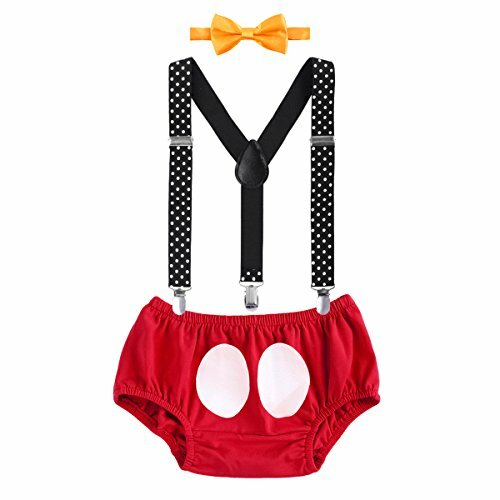 ➣Suspenders Size: Max Length: 24.0" / 61cm; ➣Bow Tie Size: Circumference: 12.0-16.0" / 30-41cm; ➣Pants Size: Tag No.90 (6-12 Months); Pants Waist: 16.5-20.5" / 43-53cm; Waist to Crotch:5.5" / 14cm; Tag No.100 (12-18 Months): Pants Waist: 17.5-21.5" / 45-55cm; Waist to Crotch: 6.0" / 16cm; ♥ Friendly Tips: Photo color might be a little different from the actual product due to color display of different monitors.